#35 on my list can be semi-crossed off. Yay! I think I want different frames but I like seeing my stuff hanging on my walls just for the fact that it could be hanging on someones wall. I was surprised at how much frames cost but I was even more surprised how much framed art costs. Etsy is really a good deal; you can get an awesome piece of work for a low price, or better yet, you can frame your own work and save you even more. yay!!! frames are kinda expensive but I always got good deals at target. your stuff looks so wonderful framed. 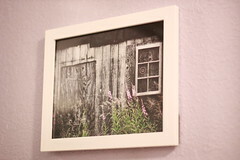 Your photos do look great framed. I’ve done a few photo trades on flickr and sometimes the gals have taken a shot of my photos that they’ve framed. I’m always amazed at how nice they look, I wonder if sometimes we’re just too close to appreciate own stuff. I may do the same, thanks for the inspiration. I have to agree with charlane… Target hsa amazing deals and a solid selection of Frames. I’m always scouring the aisle when I hit the store. It’s a pretty incredible feeling to when you see your work framed. One of my client families has a small grouping created for each of their children on the wall that goes up along their staircase. I catch myself looking at my own work and smiling every time I visit. Your photos look fabulous framed or while being viewed on my monitor. Keep up the wonderful work! I love framing stuff. It just makes it look complete … and professional. I think frames are expensive as well. I really like Ikea for frames because they are NOT expensive and there is a photo store here called Vistek that has a good selection of frames that do not break the bank account. I love the photo of the pink flowers. 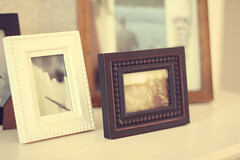 your photos look great framed up. Taylor does festival shows – we buy our frames from Aaron Brothers when they have their, once a year sale that is buy one get one for 1¢ which really helps a lot. FYI – don’t hang Ikea frames in the hot sun. 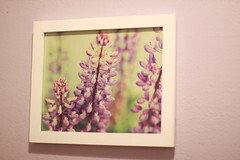 T had two large pieces framed in Ikeas frames (their sizes are odd dimensions) – the price was great. At a festiva,l hanging in the very hot sun, the corner joints MELTED and it fell to the ground – not a good thing – the glass broke and the frame chipped. The ones that didn’t fall we kept having to press the corners together and were in fear the entire day that they would fall apart right in front of someone looking at them – that would be embarrassing. other than that they are fine. Thanks girls. We only have a Fred Meyer here so far, they are building a Wal-Mart right now, other than that I buy online. Ikea does not allow me to internet purchase a lot of items but I have ordered through Target online. they look beautiful! you should do it more…your work is amazing! oh wow leaca that lupine shot is AMAZING!!!!!!! You are not kidding about framing being expensive. I just had to put out $1500 for frames for my current show. Ouch! My best tip would be to find a good deal on a plain frame and stock up. 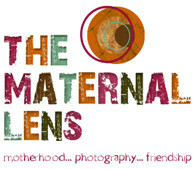 Don’t forget mattes too – beyond aesthetics they keep the print from coming in contact with the glass; which is quite important if moisture/humidity is an issue.